Most of us think we are good at communicating. We figure if we can speak a language, then we know how to convey messages and information to each other, but in reality, being a good communicator takes a lot of skill and practice. Most accidents, arguments and misunderstandings could have been avoided if there was better communication. Making assumptions can be dangerous. You may assume your husband knows that you're meeting at the restaurant that is closest to your home, but in reality they thought you meant the restaurant right next to your work. Did you say which restaurant you were meeting at, or did you just give the name? There could be more than one, did you consider that? Instead of giving pieces of the puzzle and assuming they will put it together correctly, just give them the completed puzzle. Tell them as much information as possible so there are no areas that are unclear. It is better to over-communicate your intentions, then to run the risk of leaving out a vital piece of information. When we set expectations in our mind, we may get upset when they are not met. Instead of expecting that someone knows what you mean, just tell them. If I tell my kids to clean their room, I will probably return to a room that I still consider to be a mess, but that they, in fact, feel is clean. So, to set clear expectations, I now give specific tasks to each child, instead of a general statement. For example, instead of saying "clean your room" I now say "pick up all of your clothes and put them away," or "put the books away in the bookcase." It gives them a specific job and makes it easier for them to meet my expectations. Body language helps us communicate what we are saying. If we are sitting in a relaxed position with our legs crossed, we are not conveying urgency. People pick up a lot by sight, and seeing how you communicate, as well as how you listen to what they are saying. If you want to be even clearer with your message, pay attention to what your words are but don't forget to notice what your body language is doing as well. If you tend to be passive aggressive or subtle when communicating, you may find people do not understand what you're saying. Instead of talking around the topic or using a parable to try and get your point across, just say it. Use clear language and be direct. Otherwise you run the risk of having someone guess what you mean, and it may not be even close to what you intended. Some topics may be hard to approach with certain people (for example, discussing something that is bothering you, having "the talk" with your kids, or asking for a favor), but these topics are when you should be the most direct. If you muster up the courage to have the talk, and then leave the person you spoke with confused or thinking you meant something else completely, what was the point? Be simple, but be direct. 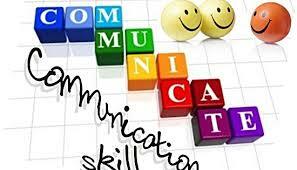 Being a good communicator is only half the battle, as you also need to learn how to listen. Don't talk over someone. Let them finish before asking questions, and observe their body language and tone of voice. All these aspects give insight to what it is they are saying. If you are not 100% clear on what they meant when they are done, ask them to clarify. Ask questions about the topic and be specific. Sometimes there are things that are just too hard to communicate. You may not even know how to put into words the feelings you have, or what is the best way to get your message across. If that is the case, you may need a mediator. A counselor is someone who can help couples, or even yourself individually, communicate clearer. Sometimes it takes an outside perspective to see what is missing with your communication.